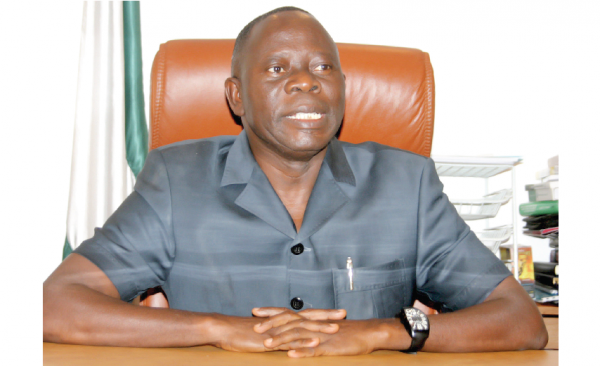 The Peoples Democratic Party has released a statement asking the National Chairman of the ruling party, Adams Oshiomhole to quit acting like an attack dog. PDP notes with utter dismay that Oshiomhole, since assuming office as chairman of the factional APC, had abandoned the path of wisdom expected of him and has become noisy, loquacious, rapacious and completely immodest in all his actions and utterances. If Oshiomhole had limited his childish abuses to President Muhammadu Buhari, whom he dismissed as indolent, ineffectual and condoning indiscipline; or to the ministers of their incompetent government, whom he wholesomely described as dishonourable; the governors left in his faction, whom he said are undeserving of return tickets in 2019; and members of his faction, who he had rendered directionless, the PDP would have ignored his attention seeking antics. However, Nigerians have now found a new laughing stock in Oshiomhole, who appears to have completely lost all bearings in his quest to compete for media space with aides of the President and by so doing, throwing every decorum to the dogs. While the PDP has nothing but pity for Oshiomhole, who is fast turning himself into President Buhari’s court jester, our party will henceforth not watch and allow him continue to make irresponsible, mundane and unsubstantiated allegations of corruption, murder or mutiny against any member of the PDP or any notable Nigerians, unchallenged. The PDP therefore cautions those who brought Oshiomhole into office, through a charade called a national convention, to immediately direct him to regulate the lethargic words spewing out of his double-speaking mouth before he derails our democracy. Oshiomhole should be reminded that but for the cover provided for him by President Buhari, he would have been under prosecution by the Economic and Financial Crimes Commission (EFCC) over huge allegations of pillaging the scarce resources of Edo State where he also trampled upon the citizens, including poor widows, when he was governor. However, with the collapse of the APC and its inevitable defeat in 2019, Oshiomhole by now knows that his presidential cover will soon be over and that he will surely face the full weight of the law.